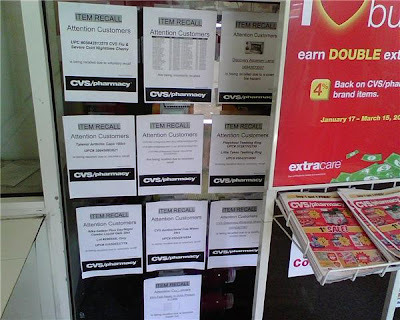 Is anyone else wigged out by all the CVS recall notices? The scary part is most of these recalls are for CVS brand products. This is further proof that everyone should coupon and buy name brand products instead of having to deal with this generic recall tomfoolery! I registered for a couple of Adult Cooking Classes (don't judge me!) and check out their ethnicity tab. What if I were spanish with an americannized last name? I don't understand why almost all ethnicity tabs offend or startle me. They should all say "Hispanic/Spanish"